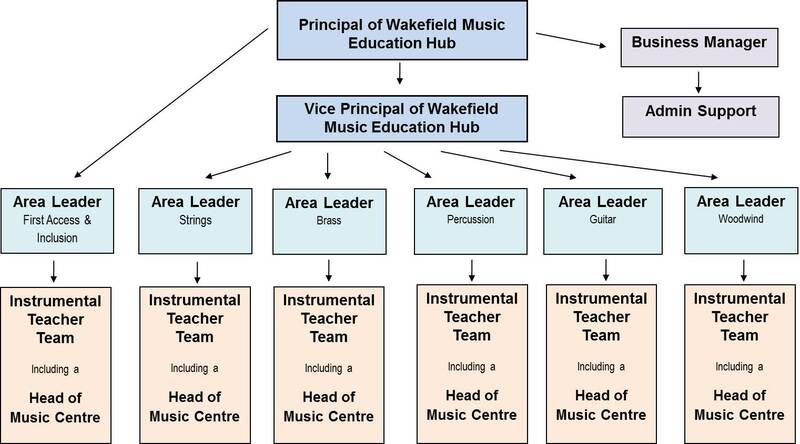 Wakefield Music Services (WMS) is the lead organisation for the Wakefield Music Education Hub (WMEH) and has been providing quality inclusive music teaching and opportunities to the young people in Wakefield since 1974. Since then the service has grown and expanded, broadening its provision and range of instruments, genres and activities that it offers. The service is governed and supported by the LA and is highly regarded by the LA, Schools, Academies, parents, pupils and the wider musical community. WMS provides musical tuition and opportunities to children in over 95% of schools, academies and in several Music Centres across all Wakefield communities! The recent review highlighted that WMS was well equipped to deliver all Core and Extension Roles expected of the new Music Education Hub. In 2009 WMS was judged as ‘Outstanding’ in the independent Moderated Self Evaluation Programme. Access and musical opportunities continue to expand and develop and music centres and ensembles continue to flourish. Since the formation of Wakefield Music Education Hub in September 2012 existing partnerships have strengthened further, new ones forged, resulting in additional musical opportunities for the young people of Wakefield. Curriculum development and teaching has been embedded within the service for many years now and support for schools is recognised as a strength. The recent national Ofsted report ‘Music in Schools – What Hubs Must Do’ emphasised the importance of hub and school partnership working and role of hubs as experts and champions of music education. WMS has over forty members of staff who mainly perform a teaching and directing role. The service is led by Phil Needham (Principal ), Val Jennings (Vice Principal ) and Jill Barrell (Business Manager) who in turn are supported by the administrative team. Musical activity across the hub is further coordinated by 6 Area Leaders and 5 Heads of Music Centre.